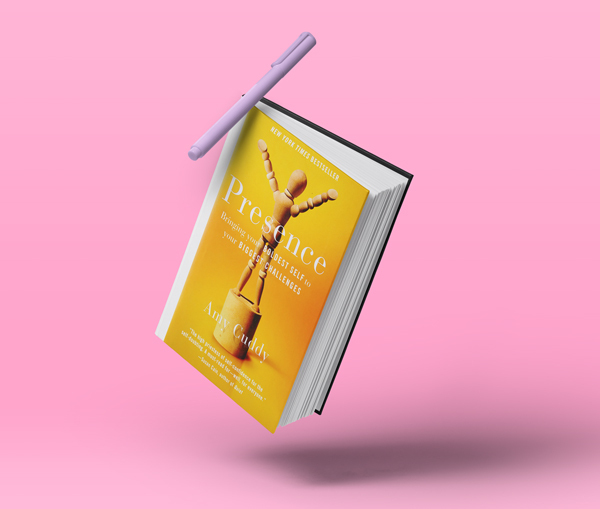 First inspired by Amy Cuddy’s TED talk on nonverbal behavior, power posing, and how she overcame a traumatic brain injury; her new book continues to inspire. Amy states that..." Presence isn’t about pretending to be competent; it’s about believing in and revealing the abilities you truly have. It’s about shedding whatever is blocking you from expressing who you are. It’s about tricking yourself into accepting that you are indeed capable.” The body continually sends messages to the brain. Amy encourages us to use our body to get to our personal power by standing tall and “faking it until you become it." As an organizer, I found her findings about the danger of making BIG goals (New Year’s Resolutions), particularly useful. She says, “resolutions are results-oriented and they often loom over us as threats, not encouragements. Amy suggests using what she calls “self nudges”- minimal modifications to one’s own body language and/or mindset that are intended to produce small psychological and behavioral improvements in the moment. These tiny tweaks with the potential to, over time, lead to big changes. For example: If your goal is to workout in 2016. Try this approach instead: Resolve to work out one time, if you like it, workout another time. Only workout for as long as comfortable, link it to something you enjoy (like working out with a friend) or being in nature. Our behavior will reinforce our behavior and before you know it you will be a person that works out. (or whatever else you want to become.) Once you see yourself being successful that one time, you can recall this experience and it will make it easier to perform well a second time, third time, and so on. Use deep breathing to control anxiety. Get into a power pose when you are feeling powerless, when you're alone not in a meeting! Look on page 200 or search the web. Expanding your body expands your mind which allows you to be present. Whether we feel powerful or powerless has huge consequences in our lives.